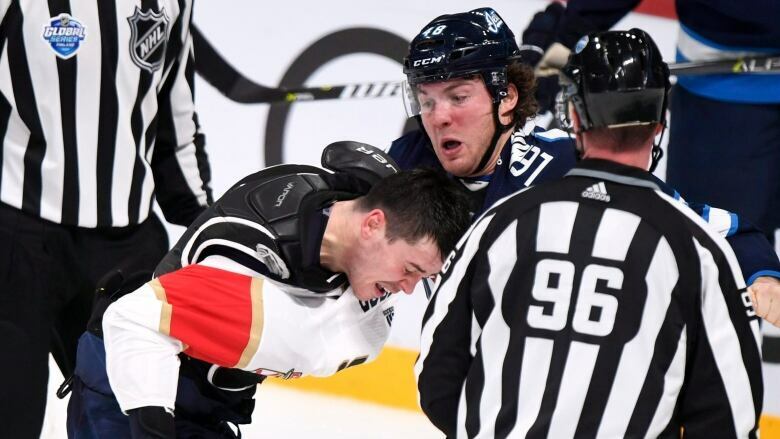 The NHL has suspended Winnipeg Jets forward Brendan Lemieux for two games for an illegal check to the head of Florida Panthers forward Vincent Trocheck. The incident occurred in the second period of the Panthers' 4-2 win over the Jets on Friday in Helsinki, Finland. Lemieux skated by Trocheck and hit him in the head after the Panthers forward passed the puck into the Jets' zone. Lemieux, who fought with the Panthers' MacKenzie Weegar in front of the Jets' goal after the play, was assessed a match penalty for illegal check to the head. Lemieux will forfeit $9,023.30 US in salary. He will be eligible to return when the Jets host Washington on Nov. 14.